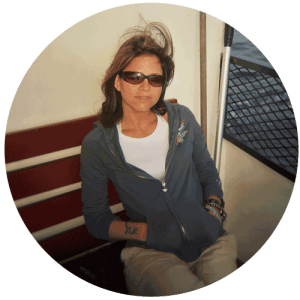 No one ever taught me how to cook, I learned through trial and error- and those early food experiments I’d conduct in my parent’s kitchen. Somehow ketchup made it into everything. I’ve never had a cooking class either unless you count the 7th grade home economics class I was forced to take. These days I still have the same approach to cooking that I did as a child; performing food experiments with a bunch of trial and error. Take this salsa here. 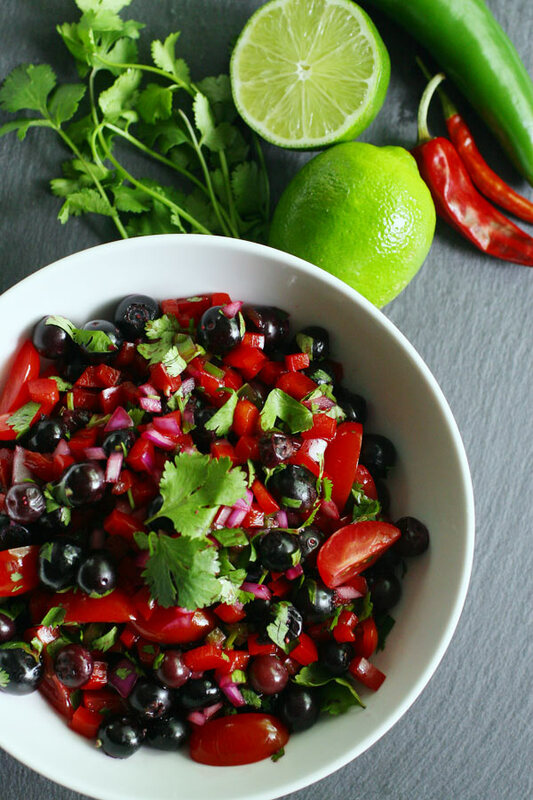 I had no idea how in the world I was going to make a blueberry salsa. But, blueberries were on sale this week, and I must have been craving them because I bought 6 pints. According to Dr. Michael Greger, author of the book How Not to Die, berries should be on the list of foods we eat every single day. Sounds good to me. No one really has to work that hard to convince me to eat a berry anyway, berries are delicious. A quick note about blueberries & red peppers: With more than 50 different pesticide residues routinely found on them, they usually make dirty dozen lists everywhere. That’s not very pretty. Good news, frozen blueberries are less contaminated. Bad news, red peppers are just as bad. Buy organic whenever possible and wash conventional produce in solution of vinegar & water. Oh, this salsa. It’s so beautiful. It’s an explosion of deep purples, reds, and bright greens. It’s art that’s food, I’m not joking. Set a bowl of this in the middle of the table as a centerpiece, it’s as beautiful as it is delicious. And it’s damn delicious. 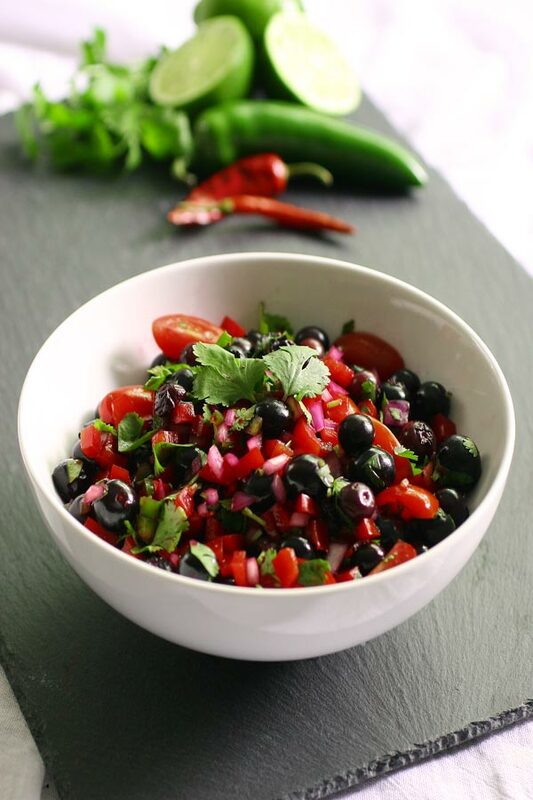 Look at this gorgeous salsa! No, really. Look at this salsa. Lovely! This recipe is my new favorite salsa. It’s spicy, and it’s sweet but not overly so. It’s tart in just the right way. 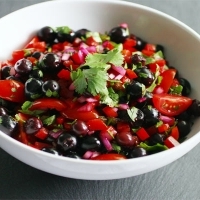 The blueberries pop in your mouth, while the red peppers offer the perfect crunch. 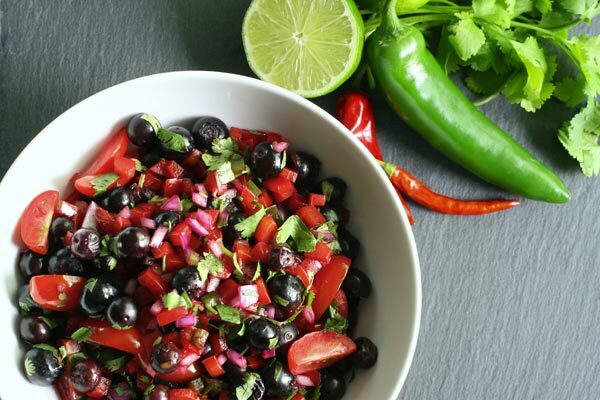 The trick with this salsa is slightly cooking the blueberries. Doing so will allow the blueberries to soak up the maximum amount of flavor. Plus, the added pop of the berry is fun in your mouth. I didn’t cook my berries the first time I tried making blueberry salsa, and it wasn’t as flavorful as it could have been. It’s an extra step, but it’s well worth the time. 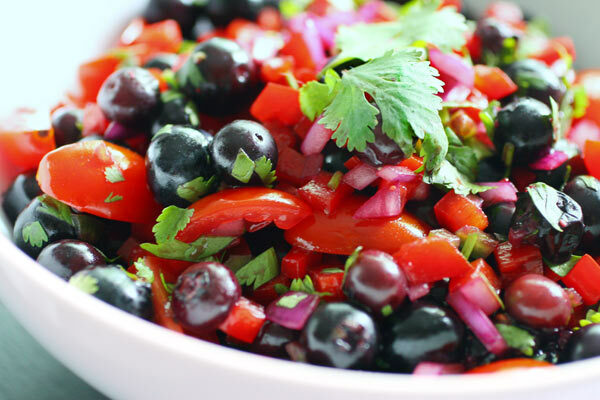 A fresh spicy salsa with a sweet blueberry twist. Wash blueberries and place in a small saucepan on warm heat. Stir gently with rubber spatula to heat blueberries evenly. Cook until the blueberries change color and the skin is about to burst open. Remove from heat and place in a large bowl to cool. While berries are cooling, prepare the rest of the ingredients. Clean and finely dice the red bell pepper, onion, and jalapeño peppers. Add to the bowl of blueberries. Cut the tomatoes into quarters. Add them to the bowl. Next, add the salt and lime juice. Coarsely chop a handful of fresh cilantro and mix it in. Add optional chili flakes if desired. Mix together until fully combined. Chill for 15 - 20 minutes then serve, or serve warm. If you don't like a lot of heat, remove the seeds of the jalapeño pepper before dicing and discard. And leave out the optional chili flakes. For a spicier salsa, leave the seeds and dice as normal. If you love salsa as I do, be sure to check out this Quick & Easy Mango Salsa recipe. As always, if you have questions or want to talk salsa just leave a comment below. Don’t forget to tag me on Instagram with #yourdailyvegan! Is it as nice as it looks? Looks amazing- check out our new recipe page http://plantsforfuel.com/. We are a little new to it, I hope we can make meals as nice as these in future! “red pepper” is poorly defined. Are you talking about a Bell Pepper or a pepper that has some heat to it? Hi Mark! Sorry about the confusion- the red pepper listed in the recipe is a red bell pepper. I also added a few crushed red chili flakes for extra spice in addition to the red bell pepper, but it’s completely optional. So, the red bell pepper is not optional but red chili flakes are. Let me know if you have any other questions! Thanks for the comment.